Heather Grabbe is the director of the Open Society’s European Policy Institute. From 2004 to 2009, she was a senior adviser to the then-EU Commissioner for Enlargement Olli Rehn and was responsible for the Balkans and Turkey. Grabbe spoke to EURACTIV.de’s Nicole Sagener. 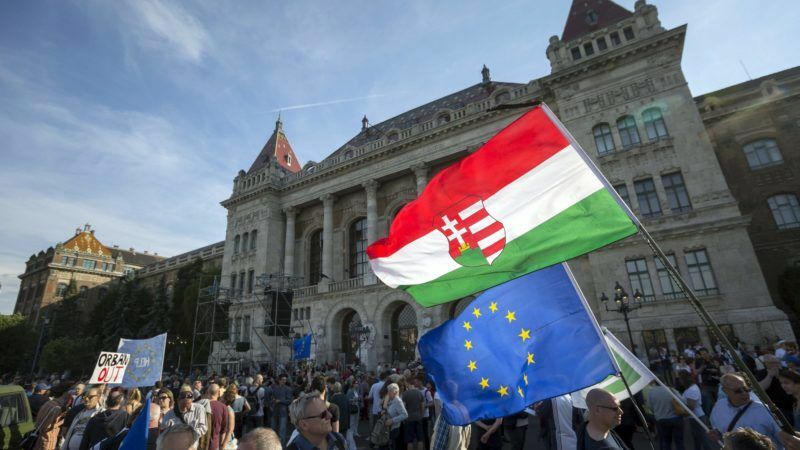 The Hungarian parliament passed the NGO Law on Tuesday (12 June). Why is it so dangerous? This law is part of a narrative by the Hungarian government that weaves suspicion around all private organisations that are not directly controlled and funded by the Hungarian state. You have to see it in context with the law that targets the Central European University and previous laws that have restricted the freedom of the media. It is one in a succession of laws progressively closing the space for anybody who is not controlled by the government to speak out and express a critical opinion. Similar measures were introduced in countries like Russia, Azerbaijan and Turkey since the coup. But this is the first in an EU member state. Even in Italy under Silvio Berlusconi, when he monopolised media ownership, government control never touched so many aspects of society. The new law applies to non-governmental organisations that receive more than €24,000 in foreign aid annually. Which NGOs are not affected? To see the aims of the law, look at those covered and those excluded from it. It exempts religious and sports organisations and political foundations, for example – but not public interest NGOs that promote transparency. It treats money coming directly from the EU budget in a discriminatory manner: funds that flow directly to the Hungarian government, for example from the structural funds, are not labelled as foreign, but research grants coming from EU budget to independent academics and scientists are labelled. The criterion is not the source of funds but whether the organisation is under the control of the government or not. The NGO law was thus apparently passed to keep Hungary’s government from criticism. The government claims that this law is needed to create transparency and deal with “security concerns”, but these are unspecified. The transparency argument doesn’t stand up because NGOs already fulfil transparency requirements at EU and national levels. The law is requiring registration, and that has two effects: One is that it creates a stigma and suspicion that any NGO receiving foreign money is a security risk. The other concern is that it could be used in the same way in Russia, as a basis for later measures that harass and eventually ban NGOs. This is not how other EU members view and treat civil society organisations. In Germany, NGOs independent from the government are seen as an important part of civil society. But if non-governmental organizations have to depend on governmental money, they are no longer non-governmental. What other concerns do you have regarding this law? For the rest of the EU, the concern is that this law is discriminatory and restricts the free movement of capital. This could affect other kinds of economic activity. Economic freedoms are essential for the single market to function, as is legal certainty. If private organisations receiving funding from abroad can’t be sure if their legal status is secure in Hungary, what does that mean for companies? Critics say that EU sanctions against member states are usually ineffective and propose to punish violations of EU basic values with the elimination of subsidies. Is this reasonable? The German government and others are concerned about looking into more conditions on the use of the structural funds – which is understandable because this is taxpayers’ money from all 27 member states. If the money is being used in ways that weren’t originally intended than it’s very important that there is a follow-up on this. But the question is how to do that while ensuring that the funds still reach the regions and people who most need it and that it promotes economic convergence. So it’s important to look at how EU money is used in Hungary beyond this new NGO law.